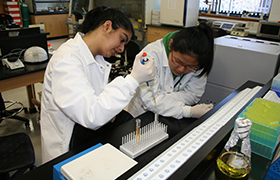 The Nanotechnology Lab is one of BCA's chemistry research labs, which opened in September 2009. 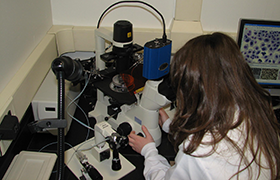 The lab contains equipment including a suite of spectrophotometers (Atomic Absorption Spec, UV-Vis/NIR spec, Fluorescence spec), a differential scanning calorimeter, and a probe station. 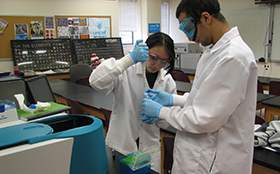 This equipment paired with the support and motivation of the lab director, allows students to develop unique research projectsfocused on chemical synthesis and nanotechnology. The lab is open to all sophomores - seniors, regardless of Academy affiliation. Explore a 360 degree panorama of our lab.